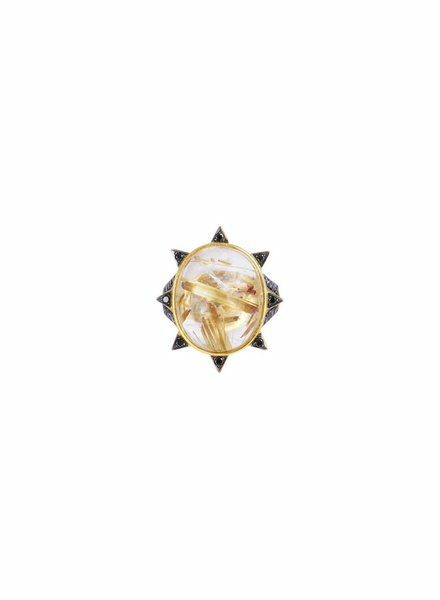 Growing up in vibrant South Texas, Melissa Spalten, designer of M. Spalten fine jewelry found her passion for the arts at an early age. Sculptures, paintings and beaded jewelry were an everyday activity throughout her childhood. 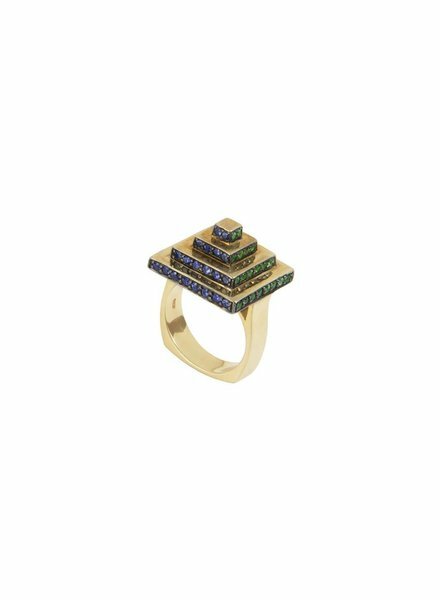 Inspired by her culturally bold environment and her fashion background, Melissa fell in love with jewelry design. 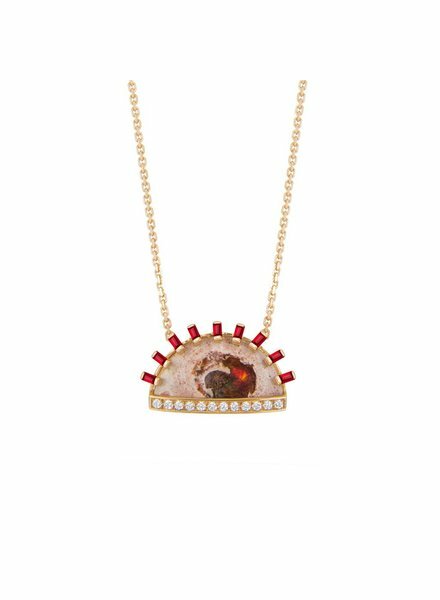 Working with an array of precious and semi-precious gemstones, she uses 18K gold to create pieces that are elegant and wearable. 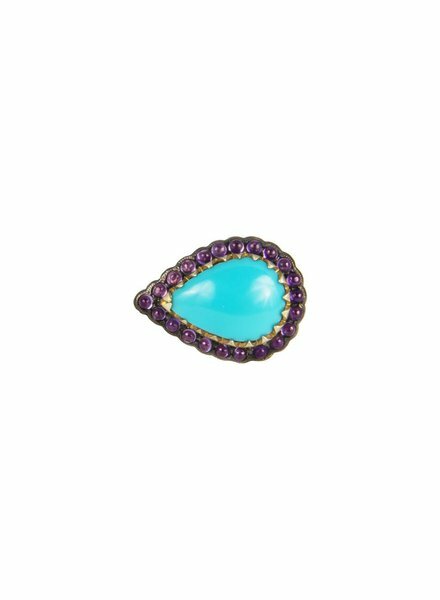 In addition to her attraction to bold color, other sources of inspiration include the patterns and shapes of both natural and man-made objects, Jewelry and art of past eras, and the beauty of the individual gemstones she carefully selects by hand. 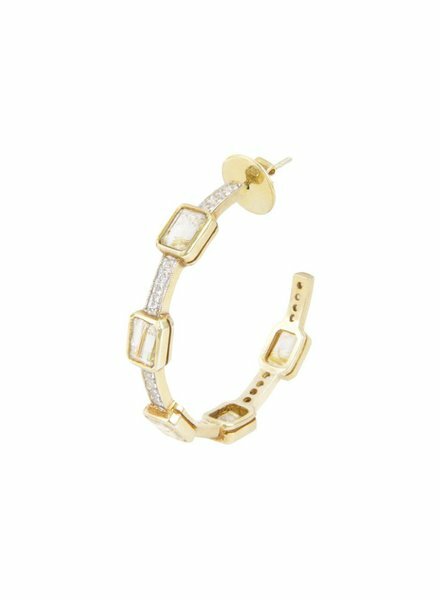 Melissa designs for the modern day sophisticated woman and is currently obtaining her graduate gemology diploma from GIA. Pink Tourmaline Fringe Ring Set in 18K Rose Gold. Tanzanite Oval, Cabochon, Purple Sapphire, Gold Vermeil, & Rhodium Plated. 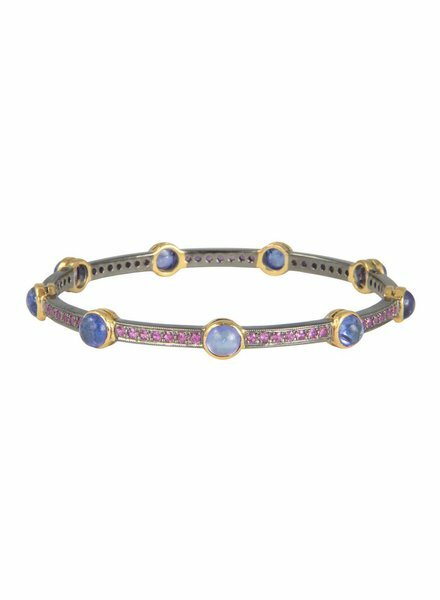 Size: 2 1/2"
Tanzanite Roud Cabochon, Pink Sapphire, Gold Vermeil, & Rhodium Plated. 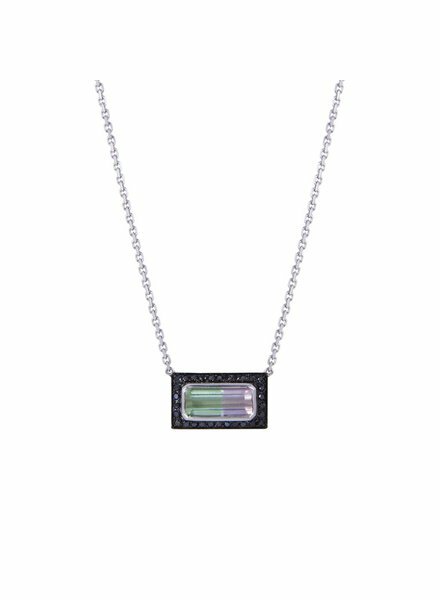 Size: 2 1/2"
Rainbow Tourmaline Center approx 2.42 CT. 0.37 of Black Diamonds create a Halo Effect. 18K White Gold Bezel & Chain. 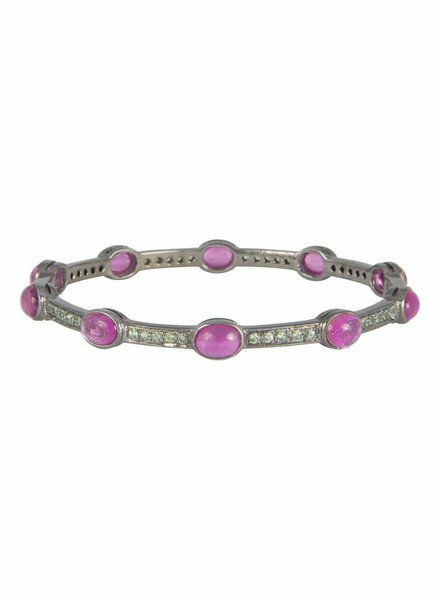 Ombre Pink Sapphire & Blackened Rhodium. Pink Tourmaline Oval Cabochon, Green Sapphire, & Rhodium Platted. Size: 2 1/2"
Mexican Opal-in-martix , Ruby 0.60 CT, Diamond Weight: .25CT, 18K Rose Gold. Rutilated Quartz Center with 0.13ct of White Diamonds. 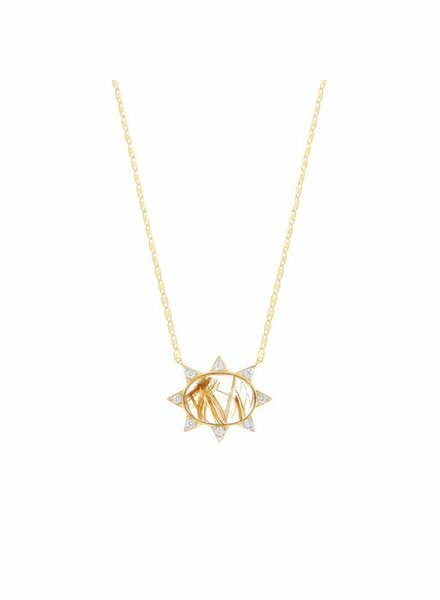 18K Yellow Gold Chain. 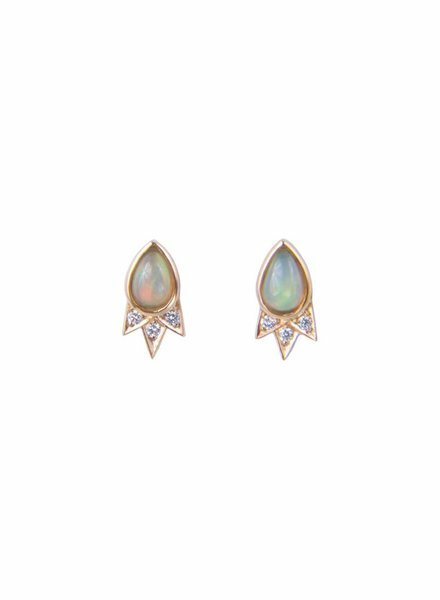 Pear Shape Opal (0.53) CT, Diamond 0.06 CT, Set in 18K Rose Gold. Blue Sapphire & Blackened Rhodium Studs. 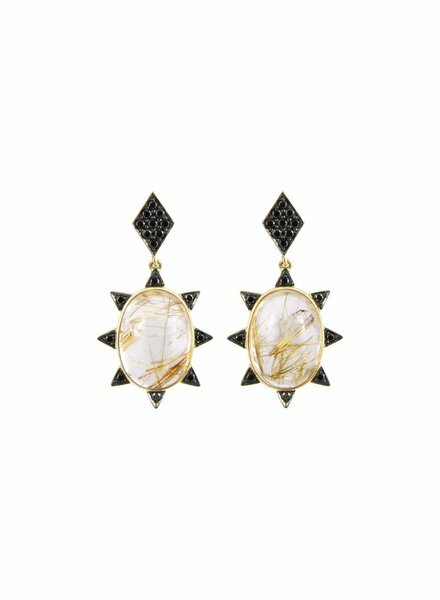 Rutilated Quartz Emerald Cut, Black Sapphire, Gold Vermeil Hoops. Moonstone, & Blue Sapphire Approx 0.04CT, Set in 18K White Gold. Rutilated Quartz Approx: 5.36CT. Surrounded by Black Diamonds 0.44 CT, Set in 18K Yellow Gold. These Make for the Perfect Statement Earring. Rutilated Quartz Emerald Cut, White Sapphire, Gold Vermeil Hoops. 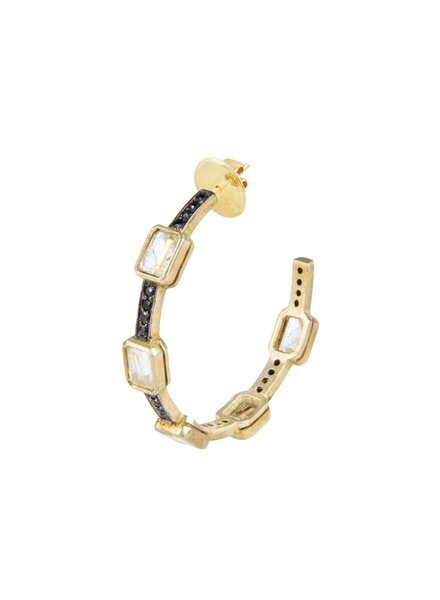 Rutaliated Quartz (16)CT, Black Diamonds (0.44)CT, Set in 18K Yellow Gold. 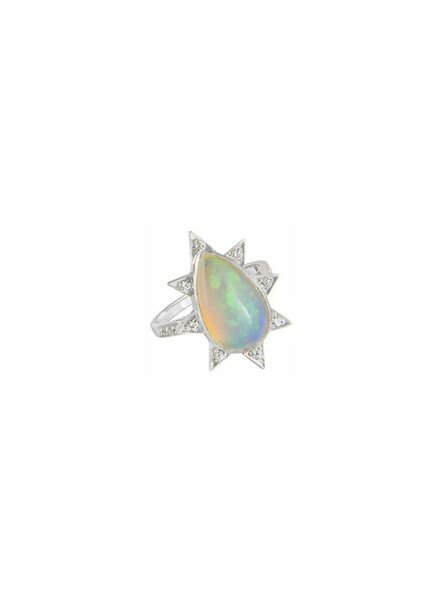 Ethiopian Pear Shaped Opal (3.21) CT, Diamond 0.19 CT, Set in 18K White Gold. Lapis Center Surrounded by White Sapphire & Rhodium Plated.